Kinzua Bridge State Park is a favorite among tourists and locals alike. The tornado of 2003 which destroyed much of the bridge has created a fantastic destination. Visitors can walk out to the still standing section of the viaduct onto the skywalk to see the twisted remains and breathtaking wildlife surrounding it. In addition to the bridge, visitors can also go to the new Visitor Center, and, along with two exhibit halls, they can find the PA Wilds Conservation Shop. 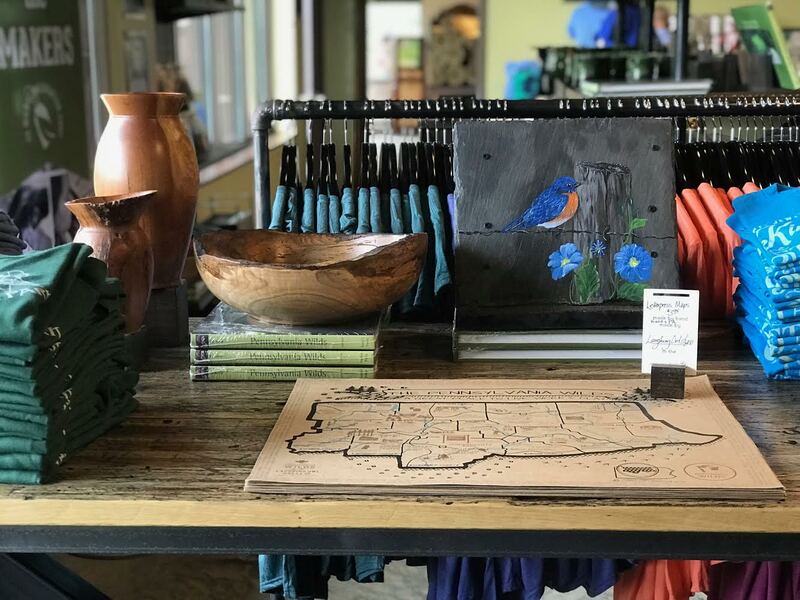 The PA Wilds Conservation Shop at Kinzua Bridge State Park is the first brick-and-mortar gift shop managed by the PA Wilds Center for Entrepreneurship. The shop, which features regionally-made products, recently moved from a smaller space in the upstairs of the Visitor Center and is now settled in downstairs. 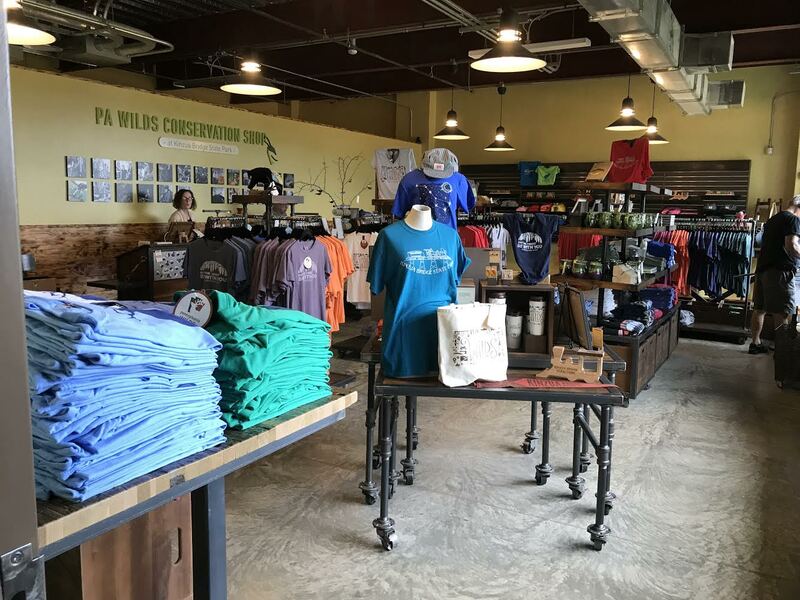 I recently spoke with shop manager Libby Bloomquist and managing director of the PA Wilds Center for Entrepreneurship Abbi Peters about the change and success of the Conservation Shop. The Visitor’s Center had over 209,000 visitors last year. With such high foot traffic, it’s important that the gift shop can adapt and cater to the customers that enter. On average, the store itself has around 200 to 300 visitors a day. Since the move downstairs, the gift shop has increased the number of visitors, and sales have gone up 100% since last year. I spoke with Peters about her take on the change of space in the shop. In her role, she manages both the Conservation Shop and the Wilds Cooperative of Pennsylvania, one of rural Pennsylvania’s largest networks of creative entrepreneurs and producers. She opened the Conservation Shop in 2016. “Having this larger space has helped our customers in a couple of different ways; having more room allows for more products and more variety in the products. Also, now when you’re on the skywalk and you’re coming back into the building, [the Conservation Shop] is the first door to get into the building; entering and exiting through the gift shop is always a good thing,” Peters said. Bloomquist — who oversees purchasing, working with new designers, scheduling, staffing, hiring, and merchandising at the shop — discussed how the change in space has affected the store. Since the expansion, the shop has gained 13 more vendors and now offers products by more than 35 regional makers. And the products sold at the gift shop aren’t all just Kinzua Bridge themed. “Local people are coming in; they see how unique our shop is. We certainly are marketing it as a gift giving destination rather than just a souvenir shop,” said Bloomquist. 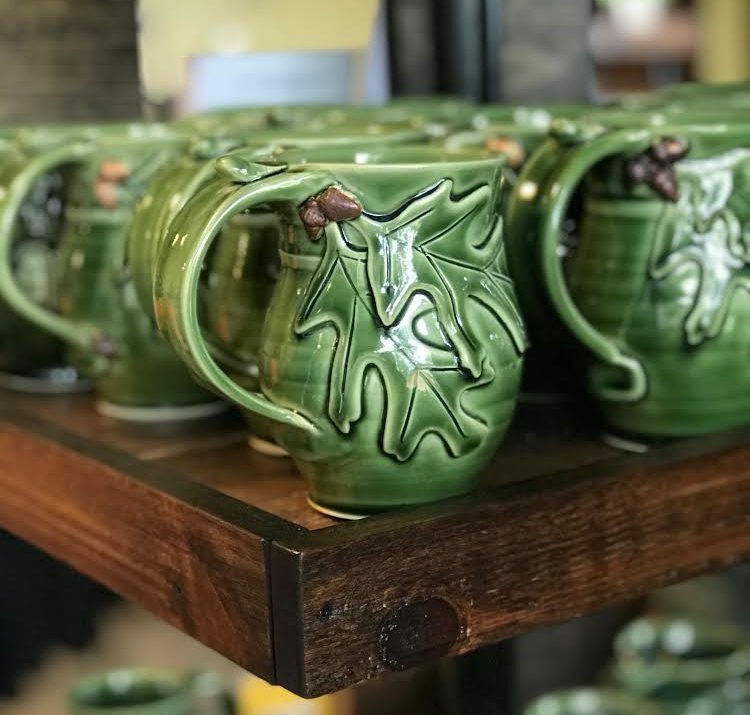 The new vendors bring unique new products to the store, such as engineer train caps, vintage soft sculpture creatures, Pennsylvania Wilds travel mugs, and handmade wooden bowls and vases. And of course, visitors can come in to find merchandise that is specific to the Kinzua Bridge State Park, such as T-shirts and magnets. “We saw this partnership as an opportunity to provide this retail outlet, and we work with the Wilds Cooperative of Pennsylvania, which has over 300 members, just about a hundred of which are artisans and local producers. So, we really wanted to make sure that when people were coming through the park, they were taking home a piece of the Pennsylvania Wilds,” Peters added. I spoke with Bloomquist a little more about what makes the products so unique and beneficial to the area. Peters and I discussed the reasoning for providing locally-sourced products. Kinzua Bridge State Park has really grown in the past few years, partly due to the PA Wilds Conservation Shop. 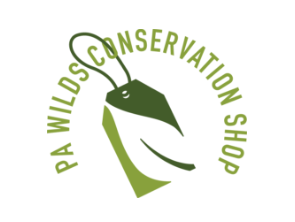 PA Wilds Conservation Shops are gift shops run by the PA Wilds Center for Entrepreneurship (PA Wilds Center), a 501(c)(3) nonprofit. These physical and online stores focus on locally-made and value-added products so you can take home a piece of the Pennsylvania Wilds while making a difference! Your purchases have a ripple effect on the local economy while also supporting the PA Wilds Center’s mission, which is to work with partners to grow the region’s outdoor recreation, nature, and heritage tourism industry as a way to create jobs, diversify local economies, inspire stewardship and improve quality of life.